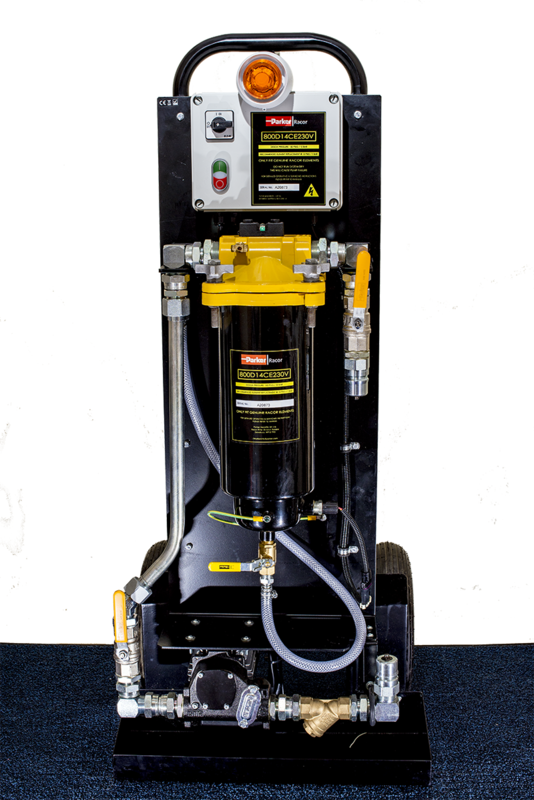 The Racor FBO Filter Trolley is a new lightweight mobile unit ideal for on-site cleaning of fuel tanks, drums and bowsers. It incorporates state-of-the-art Racor fuel filter technology which removes potentially damaging contamination from your diesel fuel. Available with a range of filters from 1 to 25 micron it removes particles and virtually 100% water quickly and efficiently (flow rate of over 50 litres per minute). Download a spec sheet with further information here.